Due to the cyclical nature of the range of temperatures handled by shell and tube heat exchangers, engineers have tolerated poor performance, particularly with regards to leakages. Available sealing options have previously been unable to effectively operate across the entire temperature spectrum, which has led to plant operators instigating processes to mitigate leakages rather than be able to address the root cause. As an international manufacturer of industrial seals and gaskets, Flexitallic has been manufacturing and supplying girth, tube-sheet and floating head gaskets for use on shell and tube heat exchangers for many years. As a consequence, Flexitallic Applications Engineers are familiar with the apparent idiosyncrasies associated with the sealing performance of individual exchangers and have developed a next-generation solution, which is now proven to address these issues. 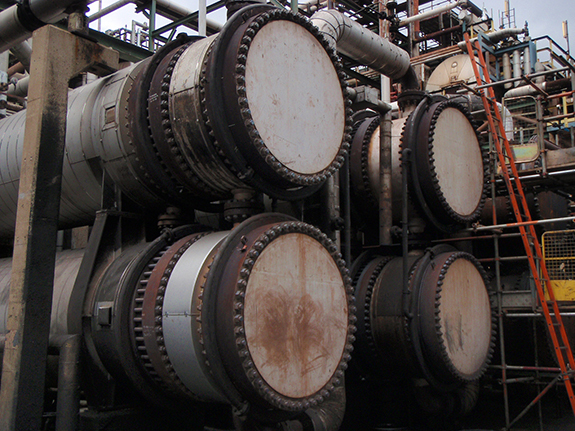 Shell and tube heat exchangers are commonly used items of process equipment in many industries. Depending on how they are operated, heat exchangers can present significant technical challenges with regard to achieving leak free sealing performance. Fluctuations in axial load and radial shear effects brought about by thermal transients around the tube sheet girth flanges during start up or normal operation can have a significant effect on seal performance. Additional factors such as available gasket load imposed by exchanger design; available space; the presence of stress raising nubbins; and ease of access and installation can also have a bearing on gasket design. Processes at fertilizer plants, for example, involving heat exchangers can be particularly demanding and equipment is often old and can involve elevated temperatures, high pressures and cyclic operation. Additional requirements for improved asset efficiency and emissions compliance place ever increasing demands on gasket performance. The novel gasket, developed by Flexitallic, which is known as Change™, offers benefits over traditional gasket styles more commonly used in heat exchangers such as Metal Jacket Gaskets, Corrugated Metal Gaskets, Spiral Wound Gaskets and Kammprofile Gaskets. Change™ offers superior, long-term sealing performance, particularly in bolted connections subject to thermal transients. Over many years of field service experience the shortcomings of traditional gasket styles in problematic heat exchanger applications is well-known to Flexitallic engineers. To address such issues, extensive research and development work was undertaken that resulted in the production of the Change™ gasket. Change has been designed to possess the optimum combination of both stiffness and resilience and, as a consequence, be capable of creating a high performance seal under conditions of long-term cyclic service, such as those routinely encountered in demanding sealing applications. The manufacturing approach to Change™ involved producing a gasket from a wire strip, therefore offering both maximum manufacturing flexibility and cost savings with optimum material usage. The strip is spirally wound; however, the strip profile and thickness differs significantly from that used in the manufacture of the Spiral Wound Gasket. The wire strip used in the manufacture of the Change™ gasket is five times thicker than that used in the production of Spiral Wound Gaskets. As a consequence, Flexitallic developed specialist equipment to enable the manufacture of Change™. Upon winding, the unique profile and increased thickness of the wire results in a stiff yet resilient interlocked structure with greatly improved handling characteristics compared to that of standard Spiral Wound Gasket. The resulting stiffer construction can in many instances negate the requirement to control gasket compression allowing its use in applications where space may be limited. A soft filler material, such as graphite, is incorporated into the gasket during the winding process. Once wound, the resulting profile of the gasket sealing faces bears resemblance to that of a kammprofile gasket. Both sealing faces are subsequently covered with a layer of soft facing material, providing low stress sealing and good conformance on poorly-finished flange surface faces. Other materials such as PTFE for chemical service and Thermiculite© for high temperature applications can also be used depending on the process conditions. One of the main manufacturing challenges was how to permanently fix the winding strip at the start and termination of the winding process. Conventional resistance spot welding could not be used because of the increased wire thickness. Weld integrity in an unconfined spiral wound seal arrangement such as this plays a crucial role in maintaining seal integrity. Following extensive trials, high power, precision laser welding was selected. Due to a reduced heat-affected zone compared with traditional welding methods, thermal stresses are kept to a minimum resulting in a high-strength weld. 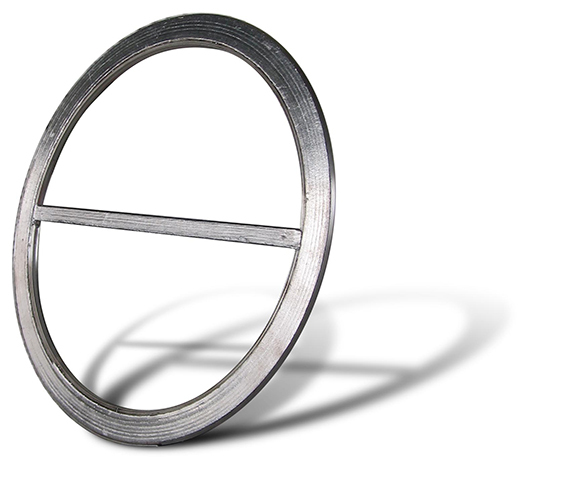 Since the development and introduction of the Change™ gasket, 50 000 have been supplied and are currently being used in non-standard connections in shell and tube heat exchangers around the world overcoming the challenges faced by industry. Written by Dene Halkyard, Flexitallic Ltd.